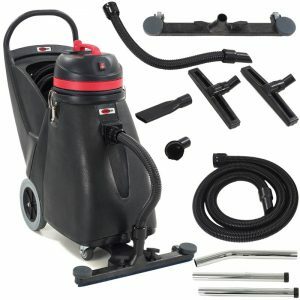 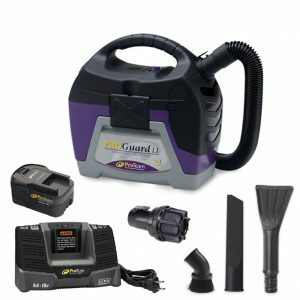 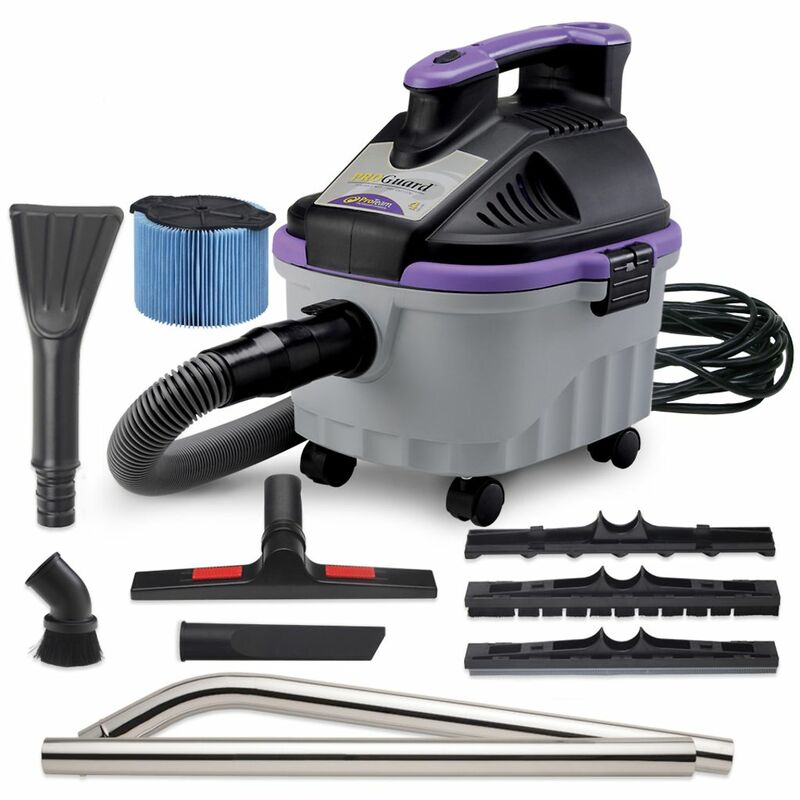 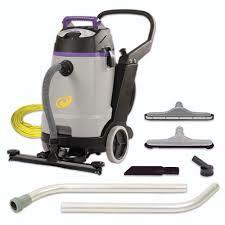 So power and versatility have come together in the portable ProGuard 4 Wet/Dry Vacuum. 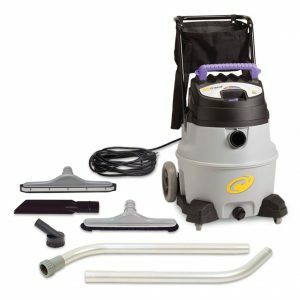 For emergency spills, detail cleaning and portable jobsite maintenance, there’s no better choice for true wet/dry vacuum performance in an easy-to-carry package. 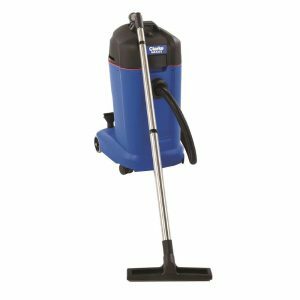 This commercial wet/dry vacuum comes complete with a straight extension wand, curved extension wand, master floor tool with inserts for carpet, hard surface or wet pick up, crevice tool, dust brush and claw nozzle.